Hey there. I love music and movies. Even though my favorite genre of music is hard rock, I listen to all kinds of tunes. Same deal with movies. I'm a huge fan of the Asian Horror flicks but that doesn't mean I won't sit and enjoy a good chick flick with the wife. But just because I love it doesn't mean that the rest of the family does. Because of it, I depend on my headphones to keep the tunes going or the movie playing when I'm watching something or listening to something the family is not all that interested in. Recently, my good friends at Flips Audio provided me a set of Flips HD Headphones to try out. Now, I have my fair share of headphones but let me tell you, these Flips HD headphones are freakin' awesome! Let me tell you all about them. First, a little about Flips Audio. The story of Flips Audio is pretty. 4 guys had a dream. A dream to create quality headphones that can go from solo to social in a matter of seconds. People told them that it couldn't be done. Not to be deterred, the guys brainstormed, created hundreds of prototypes, and a year a half later, Flips HD Headphones were released to the world. Pretty cool, right? I've always been supportive of people that follow their dreams. I see Flips Audio like an indie game developer. A small group of people that have a dream to create and they go out and do it! Hi def sound is AMAZING! Now, on to the Flips HD Headphones. Let me share my experience with these great headphones. First, let's start with what makes the Flips HD Headphones different from the rest. Going "Solo 2 Social" is freakin' awesome. In one second, I can go from listening Metallica to sharing what I'm hearing with the family. Flips HD Headphones have the unique ability to flip the speaker part of the headphones so that a solo listening experience turns into something that you can share with everyone in the room. It's a unique concept that has proven quite useful. My kids constantly ask me what I'm listening to. It's a pain to have to take regular headphones off just to answer them or hand them over to them so that they can take a listen. By flipping the headphones, I no longer have that problem. I flip the head phones and we can all listen at once. And the speakers are pretty powerful too. The 40mm neodymium speakers provide a powerful amp'd sound. They are perfect for solo listening but when you flip them, the sound amplifies to a more appropiate level for an audience. And the best part? The sound quality does not suffer or diminish. 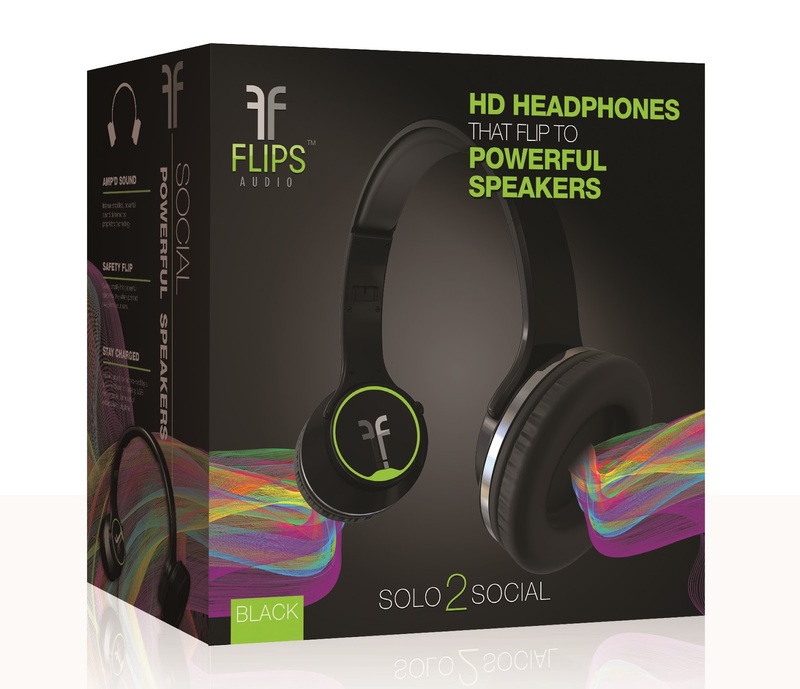 Flips HD Headphones provides crisp, clear high definition sound no matter which method you decide to enjoy them. "Whoa... wait a minute, Metallman. If I "flip" my headphones to project sound out to the room, won't they be a little too close to my ears? Won't I blow out my ears?" Solo 2 Social in less than a second! Now... if you have not had the chance to experience hi def sound, YOU MUST! HD sound takes music and movies to a whole new level. All parts pop and you can clearly make out the different instruments. Background vocals are clear and background instruments that you didn't even know where in the song would become apparent. It really is a great experience! And as for movies, listening to a great thriller or survivor horror film is a definite must! The rustling of leaves, the heavy breathing, the suspense is 10 fold when it comes to listening in HD. And you know what... Flips HD Headphones provides this experience with ease! As for comfort, the memory foam that lines the speakers is extremely comfortable. I love the fact that it's memory foam too. That means that in time, the speakers will adjust for a custom fit that no other headphones will be able to match. You can also adjust the headphones to make sure that you have a snug fit. That's perfect for those of us like to listen to music while exercising. I gave them a test run while at the gym and I was quite pleased that despite all the movement and perspiration, the Flips HD Headphones were always in place and always snug. It looks like I just found my new gym headphones! Take your Flips anywhere with this awesome carrying case. When you first receive your Flips HD Headphones, you are strongly encouraged to charge them before using them. I love that you can easily charge them via any USB port. I fully charged them when I first received them and after 2 weeks, I have yet to have to recharge them. That's pretty cool, if you ask me. You can take them on long trips and not have to worry about them dying out on you. I recently wrote about a cool device, that I really love, but the battery life on it was too short to consider taking on long trips. The Flips HD Headphones do not have that problem at all. Also, I love carrying case that you receive with your Flips HD Headphones. It's a football shaped pouch with a hard shell that safely secures and protects your Flips! So there you have it. If you need a high quality set of HD headphones, look no further than Flips HD Headphones by Flips Audio! And guess what... I got a deal for you! You can get $10 off your order of Flips by using promo code "FA0010INT". 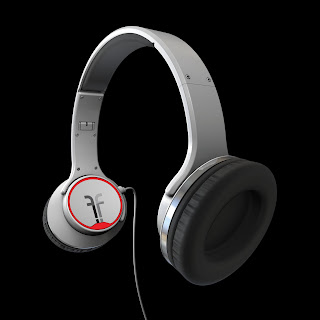 Enter the code, without the quotations, to get $10 off at www.FlipsAudio.com. But that's not all, if you order between now and July 16th, you not only get $10 off but you can upgrade to 3 day shipping for free! Promo code is good up until July 16th and if I were you, I would definitely take advantage! So tell me, friends, have you experienced HD headphones before? Would you be interested in a set of Flips HD Headphones? Who knows, if the demand is strong, I may just end up giving away a set to one of you awesome readers! Later!